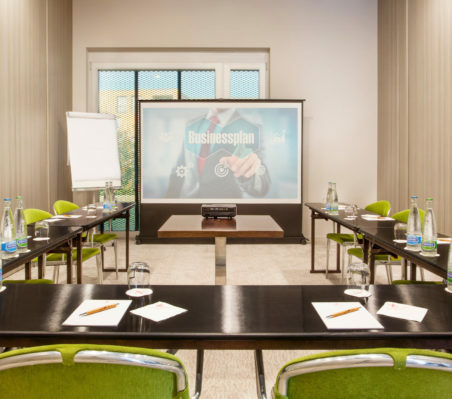 Located on the EPFL campus, 10 minutes away from Lausanne and Morges and a few steps away from the Rolex Center and the SwissTech Convention Center, Starling Hotel Lausanne is the perfect location for your conferences. Our 5 meeting rooms with natural light are modular and spacious. Our 306 m² conference centre opens onto a large esplanade allowing you to organise all your customized events. For any conference at Starling Hotel Lausanne, you can use our free covered and secure parking. The hotel has 153 bright, modern and spacious rooms and suites. Its contemporary and warm setting offers calm and comfort in a “pop art” atmosphere. For a business trip, a romantic or family stay, the different categories of rooms meet every need. Our personalized services will enhance your experience. Our restaurant Le Star*s, and its bar, offer a revisited traditional cuisine, combining modernity and creativity highlighting fresh and local products. In a chic and design setting, the live cooking will dazzle the fans while its shaded terrace in summer will amaze you. Overlooking Lake Geneva and with direct access to it, this panoramic terrace offers a magnificent view of the Alps. A gym equipped with TechnoGym machines will delight sports fans and running routes are available at the reception desk. A wedding project ? Let yourself be charmed by the incredible setting of our establishment and its quality services to organize the perfect wedding. 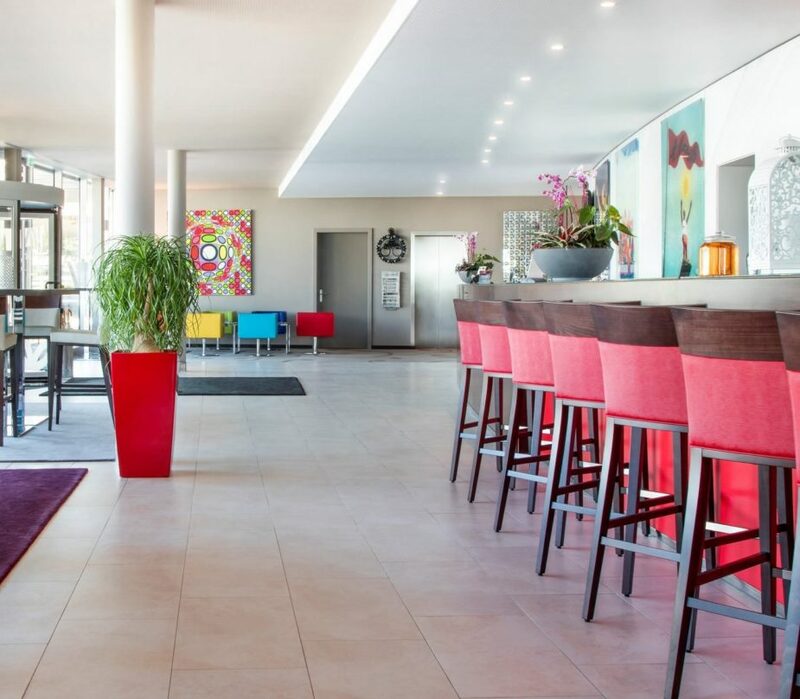 Starling Hotel Lausanne is actively involved in the environment and sustainable development, and is ISO 9001 and ISO 14001certified. In order to facilitate your trips, our shuttle service on request is at your disposal from Monday to Friday from 7:30 to 10:30 am and from 5:00 to 9:30 pm. Our 306 sqm conference center with its 1500 sqm esplanade are at your disposal for your business or leisure events up to 250 people: Staff parties, conferences, team building activities, etc. 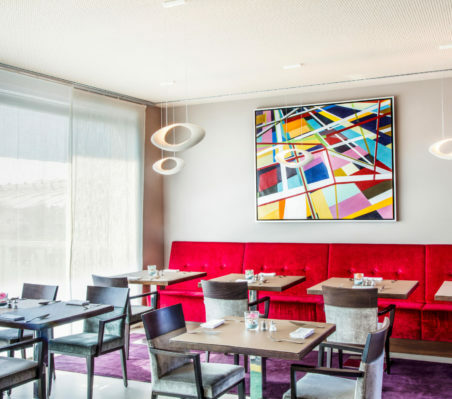 Starling Hotel Lausanne organises original and friendly events just for you: Afterwork with live music, Sunday brunch, BBQs and other seasonal events. Come to enjoy a pleasant moment with your family, your friends or your colleagues. 10 minutes from Lausanne city center. 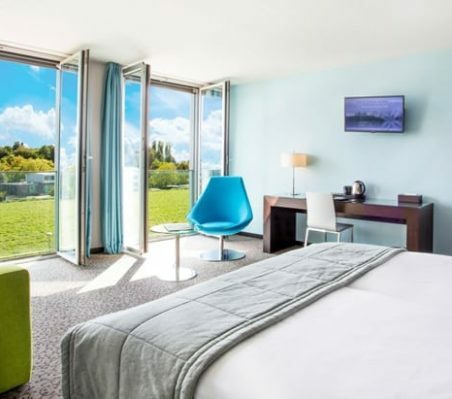 40 minutes from Geneva (airport). 3 minutes from the motorway.